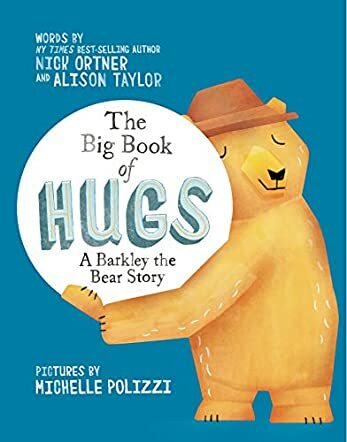 The Big Book of Hugs: A Barkley the Bear Story by Nick Ortner and Alison Taylor is an adorable story for children. The book is about all different kinds of hugs. Barkley the Bear is now old enough to join the family business. His father decides to show him the ropes on his first day of work. I chose to read The Big Book of Hugs: A Barkley the Bear Story with my four-year-old daughter. She enjoyed seeing all the different animals in the forest. However, she was a little curious as to why the Oscar the French bulldog was in the forest. She really liked the names of the different hugs and wanted to try each hug out after reading about it. Our favorite hug was “the squeezer.” My opinion is that this is a cute book. I can see kids and parents having a lot of fun with all the different hugs. I really liked that Ortner and Taylor pointed out that not everyone likes or wants hugs. This is very important for young children to know. It is also something my daughter’s pre-k class is talking about now. The illustrations in the book are well done. They are very colorful and the different fonts of the words make the story more appealing to the eye. This is the perfect bedtime book, especially with “The Goodnight Bear Hug” being the last hug in the book. If you have young kids that you read to at night, then I recommend this book.